Make this tote in 20 minutes! 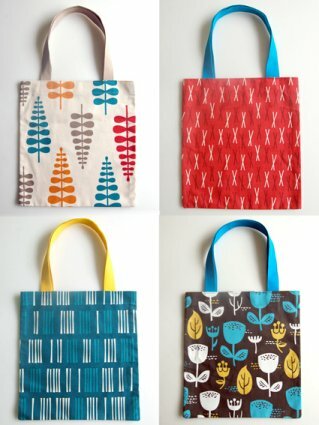 Now you can have a tote bag in a different fabric for every day of the week cuz these bags take no time at all to make. It's a great accessory for carrying books, groceries or whatever you need it for. Bring a different one to work every day and they will think you spent a fortune on new tote bags. It only uses 1/2 yard of fabric so you can use all those cute scraps you just couldn't throw away. Happy day!